Become your child’s first and best teacher! Help your child get ready for educational success in Kindergarten and beyond. East Alabama Mental Health/Family and Children’s Services is offering a new program called Parents as Teachers. This free program is designed to educate parents on techniques they can use to support healthy child development from birth to kindergarten. 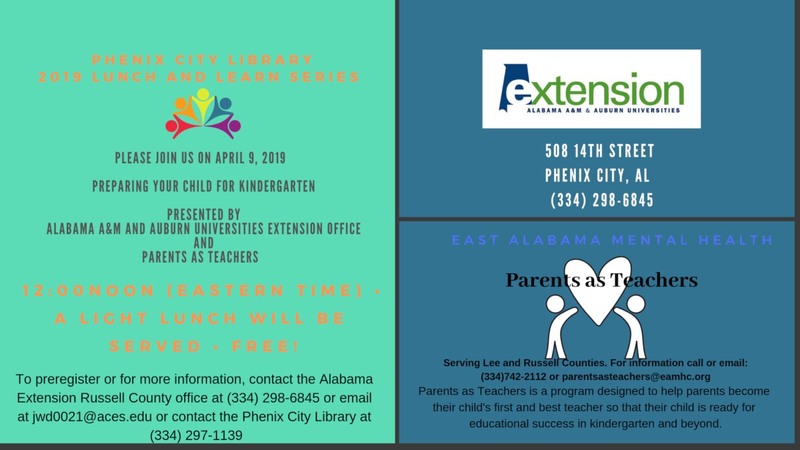 Join us for a special Lunch & Learn on April 9, 2019, at the Phenix City Library. A light lunch will be served. To pre-register or for more information, contact the Alabama Extension Russell County office at 334-298-6845. 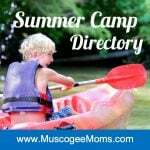 Parents as Teachers (PAT) is available in Lee and Russell County.